Dance and theater parented this work. Through the supple yet powerful and destructive body of Wataru Kitao, together with the scenario that questions the audience and the adroit production of Suguru Yamamoto, the city takes its first breaths. Being interested in the things around you, expressing your opinions, sometimes not understanding. In a single body, multiple layers of words pile up like lace, and the child grows into one who outshines his parents. 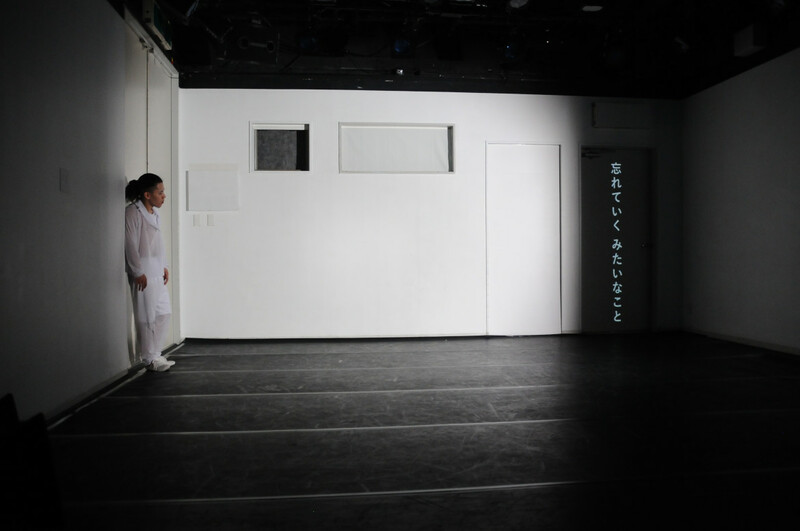 DOCU(NT)MENT is the solo project of Suguru Yamamoto, the director of the theater collective Hanchu Yuei, featuring the life of a person based on a in-depth research of the person’s upbringing and background. This piece The Unknown Dancer in the Neighboring Town is a collaboration with Wataru Kitao, the choreographer, dancer and actor, and the director of the dance company Baobab.